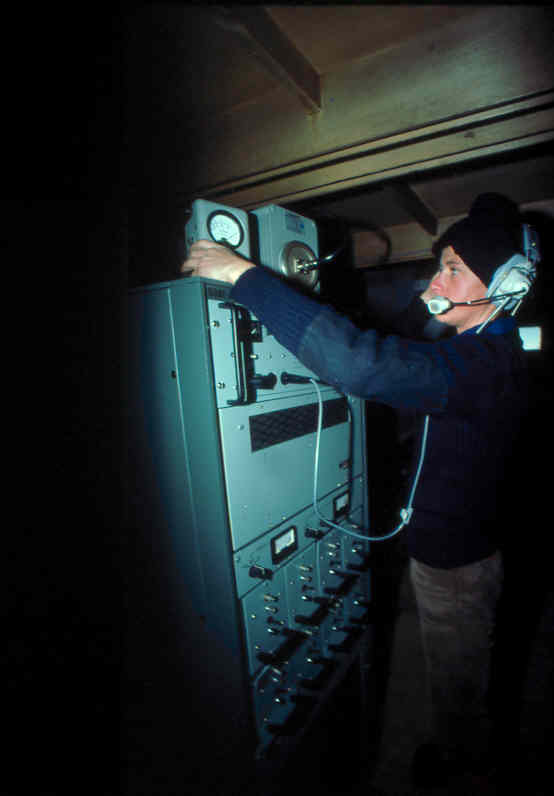 Using equipment specially designed by RAE Farnborough, transmissions were made through the expedition’s radio equipment and recorded at Farnborough on an antenna specially erected for the purpose. The results of these recordings will be analysed and form part of a worldwide and long lasting study of the reliability of high frequency propagation. The expedition’s Ryvingen base provided a unique opportunity to evaluate some interesting long range circuits which are not normally accessible. The limitations of transmitter power, whip aerials for vehicles crossing Africa, dipoles and sloping Vee antenna for the Arctic and Antarctic stations, made the choice of optimum frequency and utilisation of directional aerials of prime importance. At the UK transmitting station two rotatable log periodics were available and transmitter output powers of 1 and 10 kilowatts. The UK receiving station was equipped with one rotatable log periodic, and to cover the Antarctic, a rhombic was provided.